As a kid I loooooooooved Halloween and mostly because I loved dressing up! But isn't Halloween pretty uneventful from the time after you graduate college but before you have kids? I'm excited to someday have kids to do Halloween with. 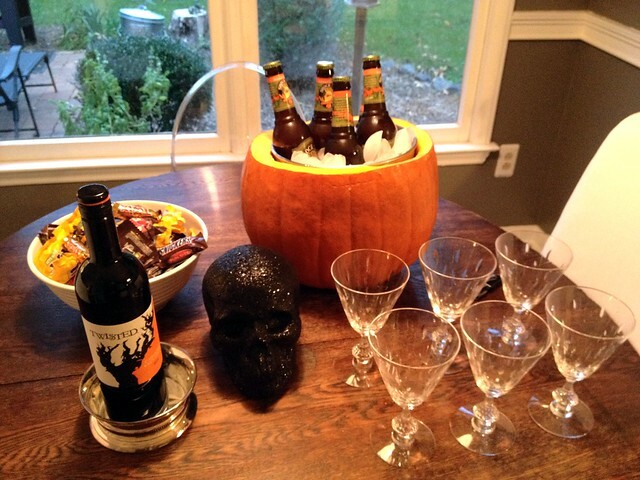 So since I was hosting book club this week, I decided to do a little Halloween "theme". It was just a fun excuse to use a bunch of ideas on Pinterest. And for dinner we had a mummy calzone. I owe this all to my husband.. he made it for us. Have I mentioned I have the best husband ever!! Almost too cute to eat! But we did.. and it was delicious! We served it with some tomato sauce on the side to spoon on. Happy Halloween! cute pumpkin basket! Google also celebrating Halloween with special doodle. Definite A. It's all so cute! 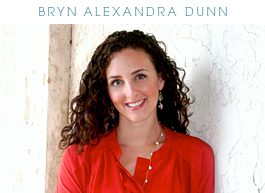 So cute Bryn...very clever! Happy Halloween! Yes, totally A for effort. Was it hard to do the pumpkin thing? I love it! I tried making those cupcakes last year. Instead of looking like cute vampire bites, they just looked like red splotches. Yours are definitely nicer than mine were. 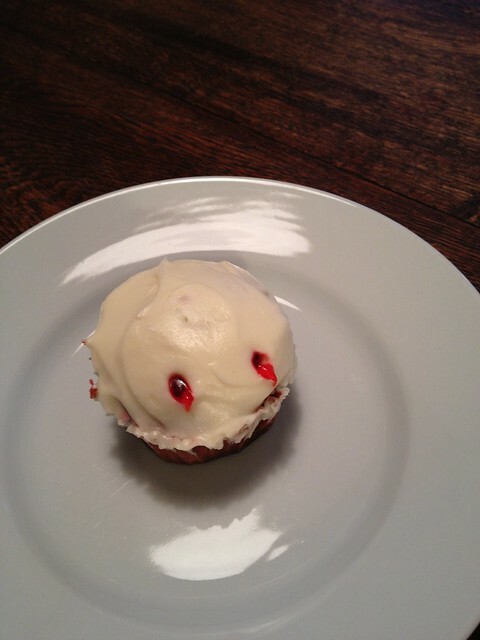 The vampire cupcakes look amazing, though! 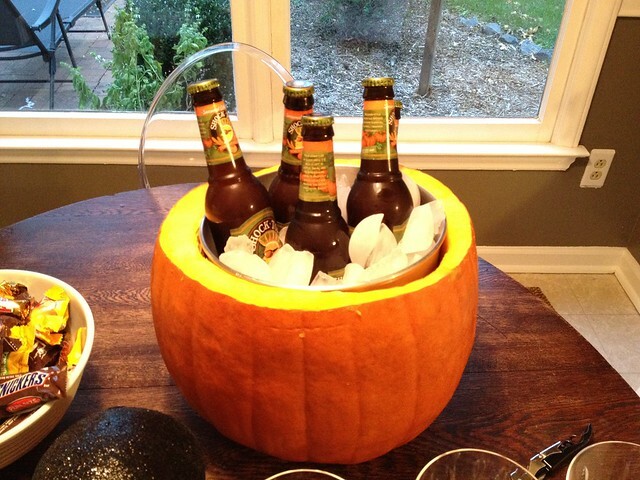 I love the idea of the pumpkin bowl- will definitely try that next year. 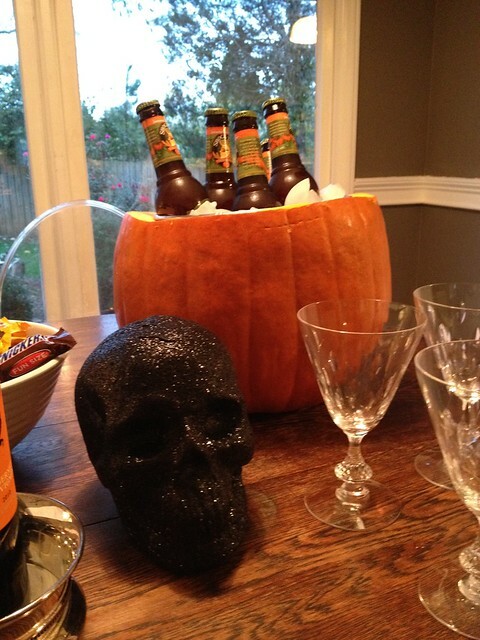 And we have tried that Pumpkin beer- it's so tasty! Happy Halloween! Cute! And the cupcakes look great, I think! Happy Halloween!